This is probably my favourite men’s gift set this year as not only are the products fabulous but the bag is excellent too (usually there’s always a really crappy bag). The Super Moisture Balm is worth an extra special mention as it’s the perfect winter defender. Air conditioning, central heating mixed with cold, winter chills wreaks havoc on your skin. The constant shift from hot to cold expands and contracts your pores whilst the dry air both inside and out dehydrates your skin. The Balm restores and defends against moisture loss but is non-greasy and doesn’t leave you looking as shiny as a Christmas Bauble. So there you go. 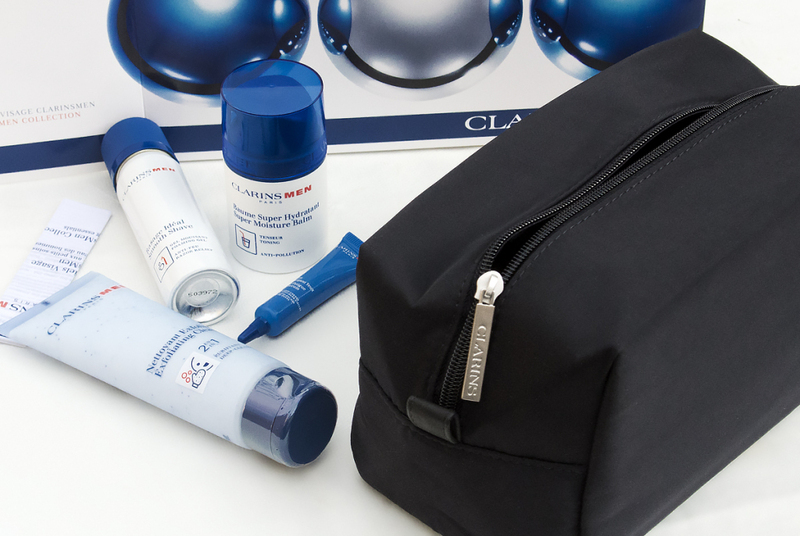 The exfoliating cleanser will also help to shift the dead, dried out skin cells allowing the moisture balm to penetrate that bit deeper; they’ve really put a lot of thought into this kit at Clarins HQ. 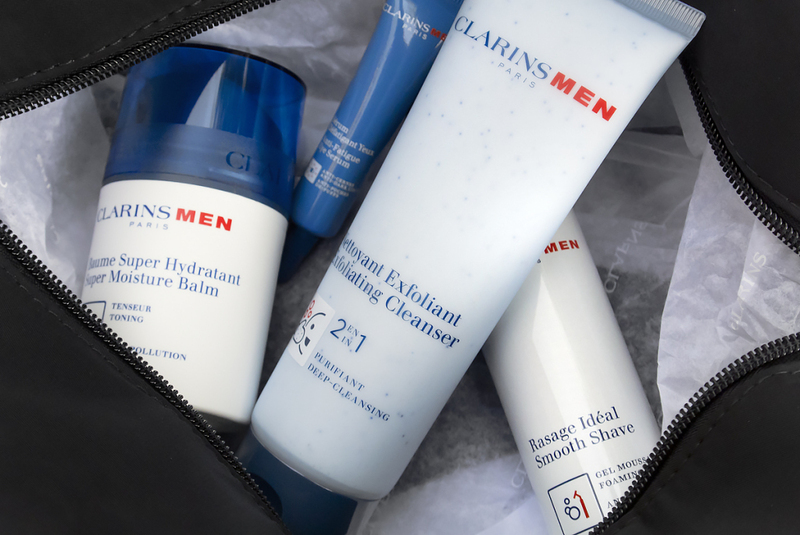 The Clarins Men Grooming Essentials Kit is available at £35.30 from John Lewis (including delivery); £41 from House of Fraser (including delivery) or £42.95 from Selfridges (again, I’ve included the delivery). This article first appeared on MANFACE written by Thom Watson. It was published on Thursday 4th December 2014 and was last updated on Monday 3rd April 2017 at 1:44pm. 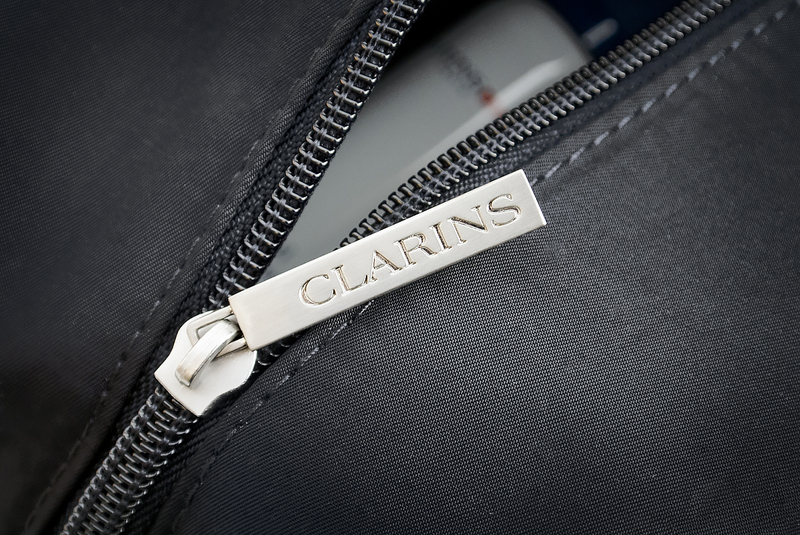 It's categorised under Christmas 2014, Clarins where you'll find more related content.